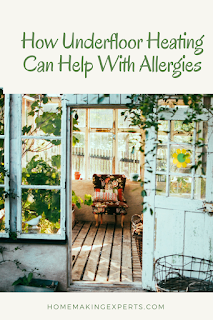 Living with an allergy, no matter the type of allergy is no fun. A runny nose, itchy and watery eyes and just a generally groggy feeling, all of these things can get you down. One of the most commonplace allergies out there, as well as one that is hard to avoid or treat is a dust mite allergy. Not only does it cause the above symptoms, but also, in severe cases there can be tightness in the chest, shortness of breath and wheezing too. Whilst hoovering is important to keep your home clean and dust free, the action of hoovering will actually release dust mites into the air, as well as walking on the carpet or moving around a rug. You might not realise it, but radiators are also a huge part of the problem as they cause the dust to circulate around the home. This doesn’t mean that you have to resign yourself to a cold and uninviting home, in fact, underfloor heating might just be the answer that you are searching for. As we have already discovered, radiators, whilst being effective at heating your home, are also responsible for dust mite issues too. When they heat, they create a convection, which means that the heat rises and moves through the air, taking with it the dust. Underfloor heating doesn’t cause a convection to occur, which means that the hot air doesn’t move around and the dust doesn’t move with it. Keeping your home warm and your air dust free too. The ideal combination for those who are trying to cope with their allergies. Whilst underfloor heating is an effective way to try and combat dust mite issues in your home, it isn’t the only thing you can do. It is also a good idea to opt for wooden floors over carpets as these are much less likely to hold onto dust and are also easier to clean too. 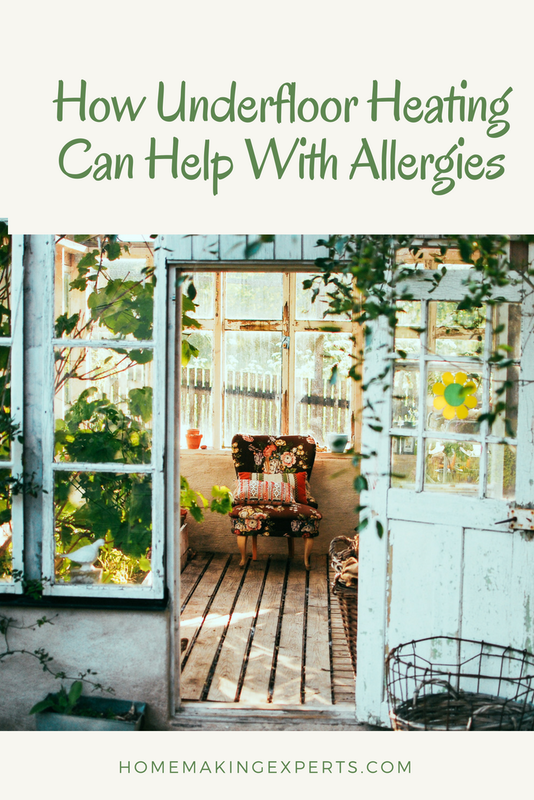 You should also, where you can, try to keep your pets out of your bedrooms, which is where you are most likely to breathe in and be aggravated by the dust mites in the air. Of course, this isn’t always possible, so if you are unable to do this, then make sure that you wash your bedding as much as you can, as well as dust any pieces of furniture that could accumulate dust over time too. If the idea that you could improve the dust levels in your home is tempting you to purchase underfloor heating, but you need an extra push. Then take a look at the different ways that underfloor heating is a great investment. It can help improve the look of your home- Even the most designer and stylish of radiators may not look as good as having a bare wall. Also, they are going to take up space. By choosing underfloor heating you are going to be able to get rid of those radiators and really make the room look its best. It improves the value of your home- Whilst you may have no plans to sell your home, you never know what is around the corner. Not only should you think about changes that you can make to your home in order to make your life easier, but also what is going to improve the value of your home in the future too. Something that underfloor heating can do. It saves you money in your heating bills- No-one likes to have to spend out on their energy bills, however, this is part and parcel of life. However, that doesn’t mean that you can’t find ways to save money. Underfloor heating is one of these ways. If you, or anyone else in your home is struggling with allergies or perhaps asthma symptoms, and you want to find a way to help them, perhaps you should try underfloor heating? Not only is it a fantastic way to heat your home and ensure that you don’t have to pay a huge energy bill, but as this article proves, it has other benefits too. There are a number of ways that you can go, one of which is to invest in a wet underfloor heating kit. Which is not only easy to install, but also could boost the value and saleability of your property too. All good things if you ask us!